A former University of Virginia student serving two life sentences for killing his ex-girlfriend's parents has been denied parole for a seventh time. However, new evidence, including a potential eye witness, may keep Jens Soering from serving much more time behind bars. From a Buckingham County prison, the former Jefferson Scholar told CBS19 that the fight for his freedom has just begun. “Who left the hair in the bathroom sink, who left the fingerprints, who was there with Elizabeth? I want to know,” he exclaimed. Twenty-five years ago, the son of a former German diplomat was convicted of fatally stabbing and nearly decapitating the parents of then girlfriend and fellow UVa student, Elizabeth Haysom. At the parole board hearing in July, Soering's attorney presented the most crucial piece of evidence to date: a new eye witness. “[The board] essentially told us to go hire a private investigator, which we've done,” he said. 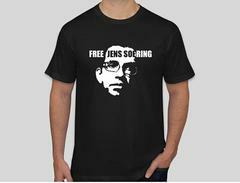 Soering says that last reasons doesn't make sense because if released he would immediately be deported back to Germany. “It means the Virginia Parole Board apparently sees it as it's duty to protect the German community from me,” he said. The convicted killer says his future doesn't lie solely in the hands of the parole board. He's filing a repatriation lawsuit against Virginia Governor Bob McDonnell. Plus, there's the private investigator hoping to test new DNA evidence. 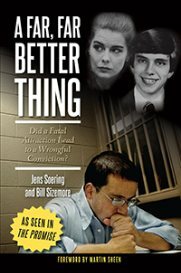 It all makes the Jens Soering story seem straight out of Hollywood; a movie that no one knows the end to yet.